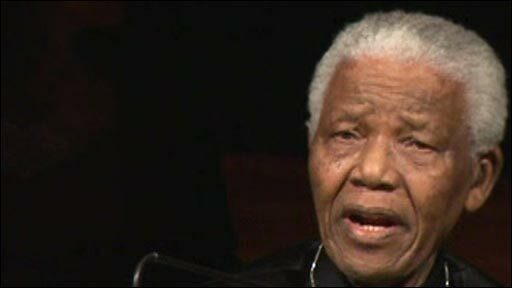 Former South African leader Nelson Mandela has added his voice to the growing international condemnation of the political violence in Zimbabwe. In his first public comments about the crisis, he noted "the tragic failure of leadership" of President Robert Mugabe. Southern African leaders earlier called for Friday's run-off presidential vote to be postponed because conditions did not permit a free and fair election. 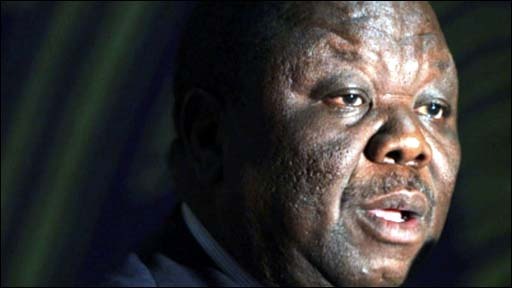 Opposition leader Morgan Tsvangirai has urged foreign help to end the crisis. "We watch with sadness the continuing tragedy in Darfur. Nearer to home we have seen the outbreak of violence against fellow Africans in our own country and the tragic failure of leadership in our neighbouring Zimbabwe." Mr Mandela had held his silence until now, says the BBC's diplomatic correspondent James Robbins, to avoid undermining South Africa's President Thabo Mbeki's efforts as chief mediator on Zimbabwe. Mr Mbeki's policy of "quiet diplomacy" has been criticised for its failure to resolve the crisis in Zimbabwe. Nelson Mandela spoke few words but they will carry immense weight simply because of who he is, says our correspondent. Can Sadc solve Zimbabwe's crisis? Earlier on Wednesday, southern African leaders holding an emergency summit in Swaziland called for the run-off vote to be postponed. The governments of Swaziland, Tanzania and Angola said conditions would not permit a free and fair election. The three countries from the Southern African Development Community (Sadc) are responsible for overseeing peace and security in the region. The leaders said they were concerned and disappointed by Morgan Tsvangirai's withdrawal on Sunday from the vote. But they said that holding the election under the present circumstances might undermine the credibility and legitimacy of its outcome. They also said the people of Zimbabwe deserved a "cooling-off period". The opposition Movement for Democratic Change (MDC), says some 86 of its supporters have been killed and 200,000 forced from their homes by militias loyal to the ruling Zanu-PF party. The government blames the MDC for the violence. Mr Tsvangirai said he withdrew from the election over fears for the lives of his supporters. The government and Zimbabwe's election authority insist Friday's vote will go ahead because Mr Tsvangirai's withdrawal came too late to prevent his name appearing on the ballot paper and was therefore invalid. Mr Mugabe officially came second to Mr Tsvangirai in the first round in March. The governing Zanu-PF party, led by Mr Mugabe, also lost its parliamentary majority for the first time since independence in 1980. The crisis has drawn growing international condemnation of Mr Mugabe and his government. Britain has said it will withdraw an honorary knighthood granted to President Robert Mugabe. Mr Mugabe is the first foreigner to be stripped of the award since Romanian dictator Nicolae Ceausescu in 1989, the day before his execution. US President George W Bush said Friday's vote appeared "to be a sham" because the opposition had not been able to campaign without fear of intimidation. The US has said it will not recognise the results of the vote. Mr Tsvangirai has appealed for the African Union and Zimbabwe's neighbouring states to intervene to resolve the situation. "I am asking the AU [African Union] and Sadc to lead an expanded initiative supported by the UN to manage what I will call a transitional process," he said at a news conference in Harare. Dismissing Friday's planned election as pointless, he said Zimbabwe should work out a political settlement based on genuine and honest dialogue. 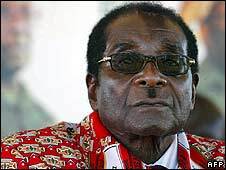 Mr Mugabe has said his government was open to negotiations with "anyone" but only after the elections.